Please check the summary of posts, articles, and media release after the World Wide Web 2012 conference (#WWW2012). Scientific American published the article “Phatic Posts: Even the Small Talk Can Be Big” – where I’m discussing the paper I presented at #WWW2012 on ‘phatic’ communications online: on brief and apparently trivial or mundane updates posted on social media. For Australian Science online, I published ”Global Web, Society and Knowledge at #WWW2012”, some of my thoughts on workshops, sessions, and presentations as Part I of the #WWW2012 highlights. Part II “Connected and Free: World Wide Web professionals at #WWW2012” presents random notes and micro-opinion bits, focusing on people, attendants who have been actively participating in this web professionals meeting and their impressions of the conference. I’ve been tweeting before, during, and after the conference, you may check my Twitter stream and the hashtag #WWW2012. 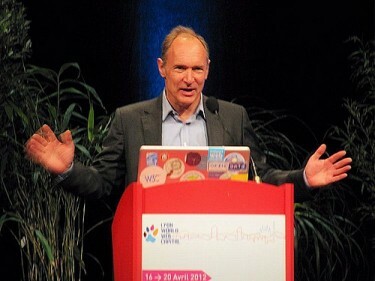 This week Advocacy Global Voices Online published my article, reporting from France, on an inspiring keynote by Tim Berners-Lee (TBL), the inventor of the World Wide Web and Director of the World Wide Web Consortium (W3C). Je souhaite souvent que le web reste ouvert à la créativité des utilisateurs de tout lieu y compris ceux d’Afrique.Je tiens à féliciter TBL pour ces mises au point claires et virulentes.Nous travaillons beaucoup aussi ici en Afrique de l’Ouest pour avoir une meilleure visibilté sur le net tout en espérant profiter pleinement du réseau pour créer,partager, briller et donner le meilleur de nos talents.